Can I use AHAs/BHA and Retinoids Together? Are Retinoids friends with the AHAs/BHA families? The gossip on the grapevine changes every week. Some of us have heard rumours they can’t stand each other. Put them in the same room, they’ll neutralise each other and lose all their antiaging powers. But there are a few single voices who claim the feud’s made up. Retinoids and the AHAs/BHA families are the best of buddies. Put them in the same room and they’ll work together to get those pesky wrinkles and red breakouts off your face. What The Heck Are AHAs and BHA? The Alpha Hydroxy Acids (AHAs) family has some famous members, including Glycolic Acid and Lactic Acid (I’m sure you’ve heard of them). The Beta Hydroxy Acids (BHA) family only has one member currently working in skincare: Salicylic Acid. 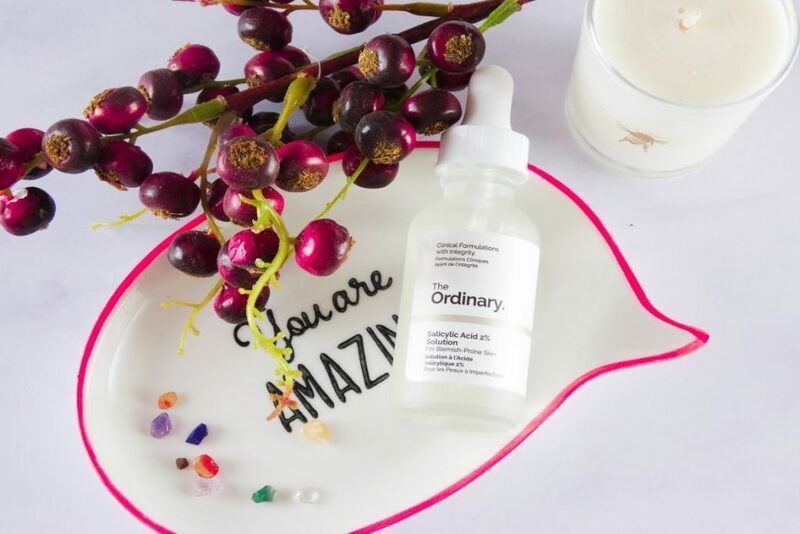 These acids all work in the same way: they dissolve the glue that holds skin cells together, so they can slough off and reveal the brighter, smoother, more even toned skin underneath. Their exfoliating action brightens the complexion, fades away wrinkles and dark spots and smoothes out skin. The main difference between them? Salicylic Acid is oil-soluble so it can penetrate the pores and unclog them from within. Bye bye breakouts! Alpha Hydroxy Acids are humectants: they boost the skin’s moisture content and amp up its collagen production a notch or two. 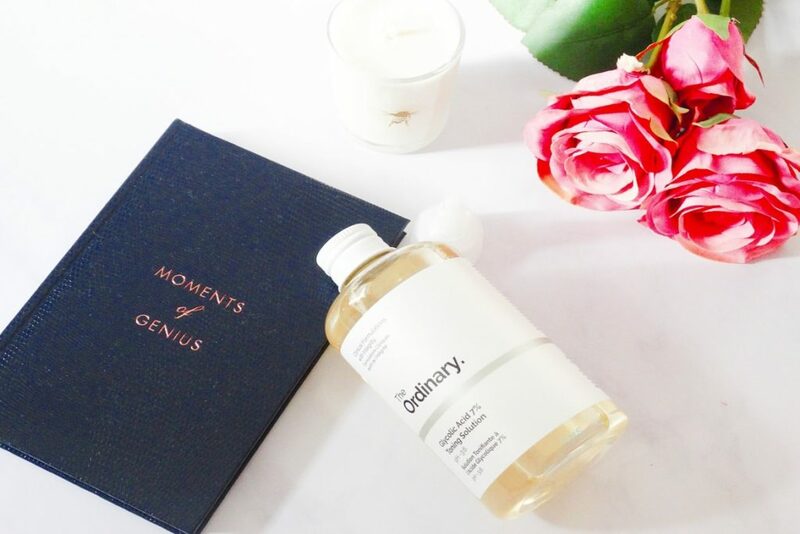 If Salicylic Acid is a godsend for oily, acne-prone skin, Alpha Hydroxy Acids are best for dry, sun damaged skin. The catch? AHAs and BHA work better at a low ph (less than 4). They’ll still work a little if the ph is higher – just not as well. What The Heck Are Retinoids? Retinoids are forms of Vitamin A. Retinol’s the most famous member of the family but Retinol Palmitate and Hydropinacolone Retinoate are starting to get more noticed to. If you’re serious about antiaging, retinoids should be part of your skincare routine. Period. The catch? Retinol (and most forms of OTC Retinoids – Hydropinacolone Retinoate is the exception) need to be converted into Retinoic Acid for it to work its magic. The optimal ph for this activation is 5.5/6. Can You Use AHAs/BHA and Retinoids Together? A serum or cream can only have one ph. If acids need a low ph and Retinoids a neutral one, it makes sense they don’t play well together. A 2008 study tested the efficacy of Glycolic Acid, Retinol and Lactose on photoaged skin and found out the combo helped treat some of the sun damage. A 2015 study tested a skincare regime made up of AHAs, BHA, Retinoids and sunscreen and discovered it’s a “safe and effective for treatment of moderate-to-severe photodamage”. A 2015 study tested the combination of Retinoic Acid and Glycolic Acid to treat acne scars and claims it is an effective alternative to more invasive procedures. What’s going on here? Why are the families working together when they should be fighting each other? The old advice about keeping your acids and Retinoids separate may have made sense once but has now become outdated. Now you can use AHAs/BHA together with Retinoids. If the science says they can be used together, why am I suggesting you don’t? Because both AHAs and Retinoids can be irritating (BHA is usually fine). If you’ve never used them before, when you finally go for it, you may experience some stinging, peeling and flaking. This is absolutely normal and should disappear after a few weeks, when your skin has finally gotten used to their potency. Even so, I always recommend you start small with both ingredients. A low concentration a couple of times a week. Then, you slowly build up both dose and frequency. If your skin is pretty resilient and, like mine, can deal with anything you throw at it, then yes, you could be able to use them both together. If your skin is more sensitive, you should stick to using acids in the morning and Retinoids at night. If your skin is very sensitive, you may not tolerate any of this stuff at all! Technology in skincare has progressed by leaps and bounds and now allows us to use AHAs/BHA together with Retinoids without compromising their effectiveness. But all these ingredients are pretty powerful and could irritate skin. If yours is delicate, you may want to keep using them separately to avoid the risk of irritation. Do you use products with AHAs/BHA and Retinoids? Share your experience in the comments below. I wouldn’t use AHA/BHA and retinoid together though, even in the same day. There’s so much exfoliation my skin can take. Salicylic acid doesn’t work that well on me anymore but I really want to try Derma Doctor’s Poetry in Skincare, which is a 1% retinol lotion. Dao, I know a lot of dermatologists recommend using AHAs/BHA during the day and Retinoids at night, but I think it also depends on how sensitive one’s skin is. 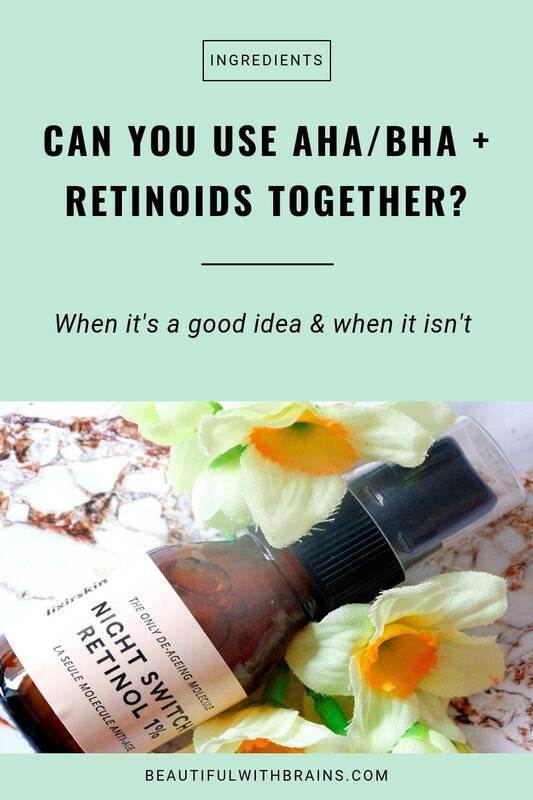 I know people that use both AHA and Retinoids in the morning and although I don’t think it’s a good idea as they are less effective used together, their skin can take it well without being irritated. While other people can’t tolerate them at all even when used separately. I think Salicylic Acid works well if one is only prone to breakouts or has mild acne, otherwise Retinol or Benzoyl Peroxide will probably work better. I hope the Derma Doctor lotion works well for you. I use some products with Salicylic Acid, but I don’t think any of the skincare items I’m currently using contain retinoids. Like I said before, I definitely need to start paying more attention to the ingredients. I do make sure to wear sunscreen every single day though. Makeup Morsel, Retinoids are among the best anti-aging ingredients. Of course there are lots of anti-aging ingredients on the market but if one wants their skin to be in great condition as they age, they’re definitely something to consider. At the moment I go through phases of using them and then I stop to test something else, but in a few years’ time I’ll start using them a lot more diligently. Between the two I definately prefer reteniods. I use them every night. I reserve AHA/BHA for a fortnightly treatment, since reteniods too have a exfoliating effect on the skin. Instead I use Vit C in the morning & reteniods at night. Hi, I do not have sensitive skin and my skin seems to tolerate just about anything. I have been using 2% retinol and 12% alpha hydroxy after cleansing my skin at night. I apply the 12% alpha hydroxy first, then apply the 2% retinol. I have no skin irritation or sensitivity. I am also using a broad spectrum sunblock during the day. Should I be concerned about over treating my skin? My skin looks and feels really good. Dina, that combination may be too harsh for some people, but if your skin feels fine I don’t see any reason why you should stop. read this, it’s a good explanation why its safe to combine the two. Nynke, thanks for the link. It’s not the first time :Paula has a different opinion from everyone else. I’ll do more research on it, thanks. Thanks about the well written info. Actually, I very seldomly use AHA/BHA products but I have to admit my skin always looks brighter when I do. Yesterday evening I did a quick exfoliation with AHA/BHA. 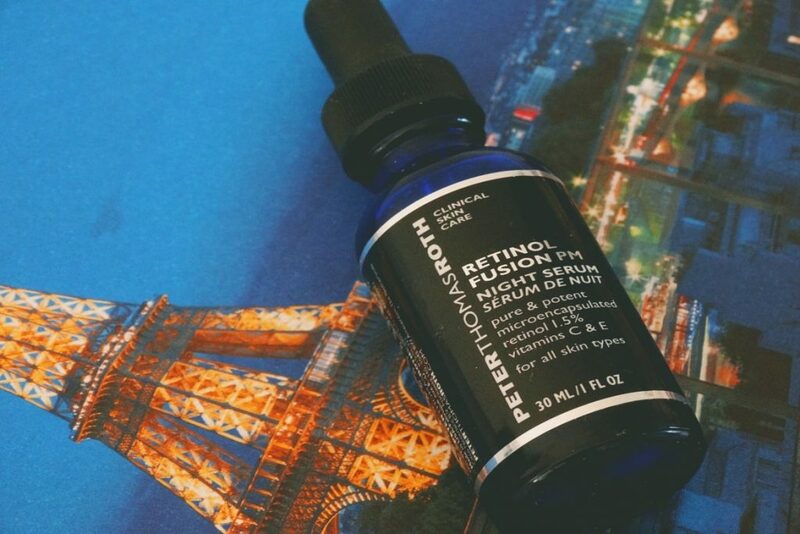 As I recently bought a Retinol Palmitate serum I added it after the exfolation step. Afterwards I was a bit concerned as I somewhere had the feeling that someone warned me not to combine both. So I thought to check this out on the internet and this is how I found your aticle. However, this morning I woke up and my skin looks visible better. I am not easily convinced by product claims and most of the time I see little changes if anything at all (no changes are for me really 95%) – but this morning my skin was fresh, bright and moisturised. 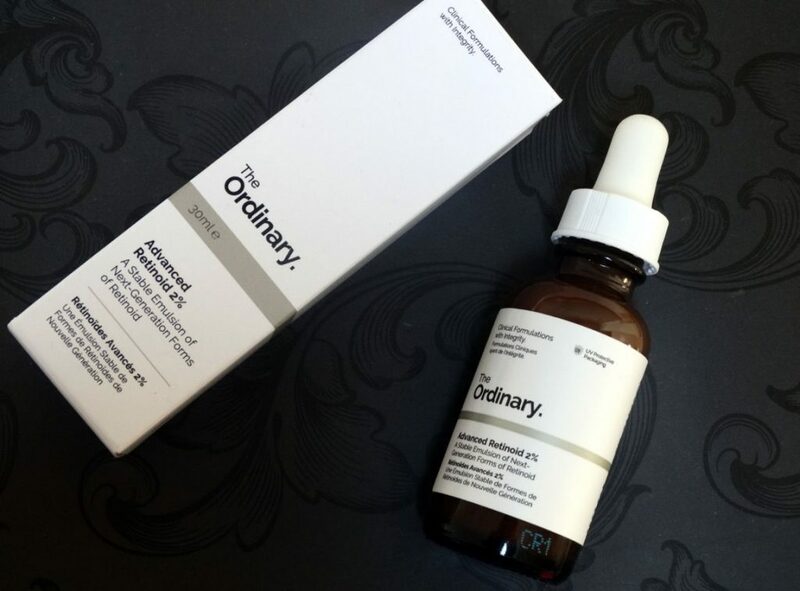 I think it was actually the combination of both products as I used the Retinol already for 2 weeks and whilst it faded some scaring quicker and seemed to a tiny bit to shrink pores around my nose I did not notice anything else. So I will definitely try this combination again and see what happens! Des Fernandez is a proponent of Retinol Palmitate and convinced me of trying Vitamin A products. He claims that it is myth – just as NYNKE pointed out with Paula’s Choice article – that Vitamin A should be avoided with the sun. He says which makes sense that it even prepares the skin to withstand the sun easier if you take Retinol Palmitate (instead of the Vitamin A acid!). He considers Palmitate more skin friendly. Danae, vitamin A and exfoliating acids are a winning combo. I wouldn’t exfoliates every day but you can definitely use it two/three times a week, depending on what your skin can take. This seems like a great site! Here’s my question if you see it. So I’m ramping up my skincare by adding in retinol within the month at very small dose probably 3 times a week but I just realized something from reading this. My daily toner, Ole Henrikson Balancing Force Oil Control Toner has salicylic acid (bha) so does that mean I shouldn’t use that toner on the days I use the retinol serum? I also use Sunday Riley Good Genes but will only continue to use it on the non retinol night. Kay, if you’re using only a small dose, chances are you can use the toner too without problems. If this combination were too harsh for your skin, you’d be experiencing some peeling and dryness.